Let us take a moment to observe an artist that goes by the pseudonym of Dr Nigel. You will certainly ask why, why would we take a few of the precious minutes we are given by unknown forces coming from dark space, and give them to someone we never met. The answer is simple, but I will refrain myself from becoming a fanboy, this occurs too often these days around. 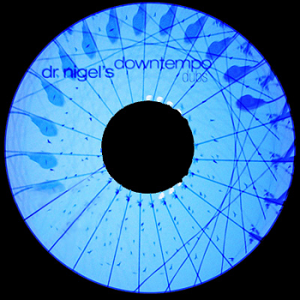 Dr Nigel is a skilled musician bearing a deeply-crafted sound and giving it for free to our human eardrums. Already six albums and all of them are free-priced. I will not lie, I only listened to this one for the moment, but I hope it is highly representative of the rest. Smells like groove and relaxation on a magneticotransformational long chair, it eases the nerves, plays with our senses and ravish everything in us that craves music. I will now leave all the pleasure of listening to you. Someone bless I don't know what.